If you have decided to self-publish your first book, the first thing you will learn is that there are many things to learn! Every new thing you learn reveals another unknown. Sometimes it’s hard to see where to start. And sometimes you get stuck, and realise that you haven’t really thought this through. Oops! PS: Since children’s books are what we know and what we do, this post is about those, mostly printed picture books, published in Australia. I assume this step has been covered already. Congratulations! It is usually the first step—after getting the idea, of course! If you haven’t done the writing, that would be a good starting point. Yes, you need a professional editor. Period. Not convinced? This read may help. 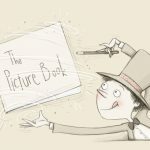 If you are not an illustrator, obviously you will need one in order to make a picture book. Unless you are after a book with no pictures. There are many ways to find the perfect illustrator for your book. I won’t list them all here, but I can tell you that you may spend anywhere from tens to thousands of dollars, and here’s why. A common misconception has created many ugly books. Knowing how to use design software doesn’t make someone a designer. Assigning design tasks to your illustrator won’t work either, unless your illustrator is in fact both an illustrator and a designer, which is very rare. If you’re after quality, look for a professional book designer. If you find someone to do the art direction (deciding how the page is arranged, finding the best illustrator for your story, guiding them from the storyboarding to the very end of the process, etc.) as well, that’s gold! Many self-published books suffer from lack of art direction. Ideally, the art director, designer, illustrator, and editor work together to create better books. So finding a team is the best. But as the publisher of your book, you can team them up as you like. Your book needs a unique number called an ISBN, unless you plan to sell it at your local market only. You can buy the number through Thorpe-Bowker, and follow their steps on the website to assign the number to your book. If you’re outsourcing some self-publishing services to a company, they may be able to provide you an ISBN. You know what a barcode it is, but you may not know how to create one. Your designer knows, so ask them. Don’t pay extra money to buy a barcode when you are getting the ISBN. 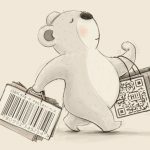 If you want to know more about barcodes—and very cool barcodes!—this post may help. Formerly known as CiP (Cataloging in Publication) Data. If you want your book to be available in Australian libraries, you need to apply for this. It doesn’t mean your book will be in the libraries; it just means it will be listed in the catalogue, so that it can be ordered. Don’t forget to add the statement on your copyright page. And don’t forget to send your legal deposit to National Library of Australia. All necessary information is on their website. Even though your manuscript is already edited, you will need extra eyes to proofread just before printing / finalising the process. After reading the same thing over and over, your ability to catch silly errors will be limited. Your editor will probably offer this service anyway. A printed book does not exist without a printer! Therefore, you need one. Your printing method and the dimensions of the book need to be decided before the illustration process begins. Otherwise the illustrator and designer may have to face annoying revisions, and a late decision may affect the quality of the product. What are your options for printing? This blog post covers the basics of print-on-demand and offset. So far we’ve been talking about production. Having an ABN at the beginning would be great. Because you will surely spend some bucks. This way, you can deduct the book-related expenses from your taxes. Most self-publishers prefer to create a name (imprint name) for their publisher, rather than using their own personal names. You’ll need to register your business name here. Do you have to have a distributor? No. But are they helpful? Yes. If you decide to publish through a POD service (see Printing step above), the distribution will be covered to some extent. But you need a local distributor to simply distribute your book to bookshops and libraries. Without them, it’s another step you need to deal with by yourself. This one is not as straightforward as the other items on the list. You need to do your research and calculate well. Sometimes having a local distributor might mean earning very little (in some cases losing) money per book, but sometimes you make your book sales because of them. It’s a long subject for a short blog post, but needs to be on your to-consider list. This is another long subject for a short post. But again, an item that needs to be on the list. Many first time self-publishers think that the book markets itself naturally. No, it doesn’t. So, make sure you think about marketing way before the publication date. You may find a professional marketing person / publicist. Or you can do it yourself with some guidance, research, and some good reading. Although it’s closely related, I’m not putting these under Marketing / Promotion. Because I see the internet as more of a tool for connection rather than a place to show your book. Consider creating a website. Even if you don’t plan to do anything with it, registering your domain name and putting some contact details will help your readers to find you. Otherwise it’s hard to get fan mail! And being on social media will help you to connect more. Again, it’s a very powerful marketing tool, but keep in mind that there is a fine line between promotion and spam. How to distinguish them is a million-dollar question! These stands for Public Lending Rights and Educational Lending Rights. Basically means that when someone borrows your book from a library, you get paid! Once a year, it cheers you up. You need to register through their website. Pretty easy and free. This is magic! Every once in a while, some money comes from the Copyright Agency. How exactly it works is a mystery, but some ninjas work for us and it works! Easy to be a member, and it’s free. You don’t have to arrange a book launch party. But it’s fun! And it’s a great excuse to get together with friends and eat cupcakes. So, why not? You can consider this as part of your marketing plan. Or you can just relax and enjoy it without putting yourself under stress. You definitely deserve some celebration! Once you get into the process, you will discover more sub-steps for sure. But these are the basics! And now you’re in the business. Congratulations! Comprehensive and useful roundup. No stone left unturned. Thanks guys!! So good to see such a practical and comprehensive guide to self-publishing, and Australian, too. Thank you.